Vietnam is an exciting country bristling with new and curious experiences at every turn. Any visitor to this bewildering country will see and experience things you won’t soon forget. The best time to visit Vietnam can be any time of the year, depending on which activities interest you. 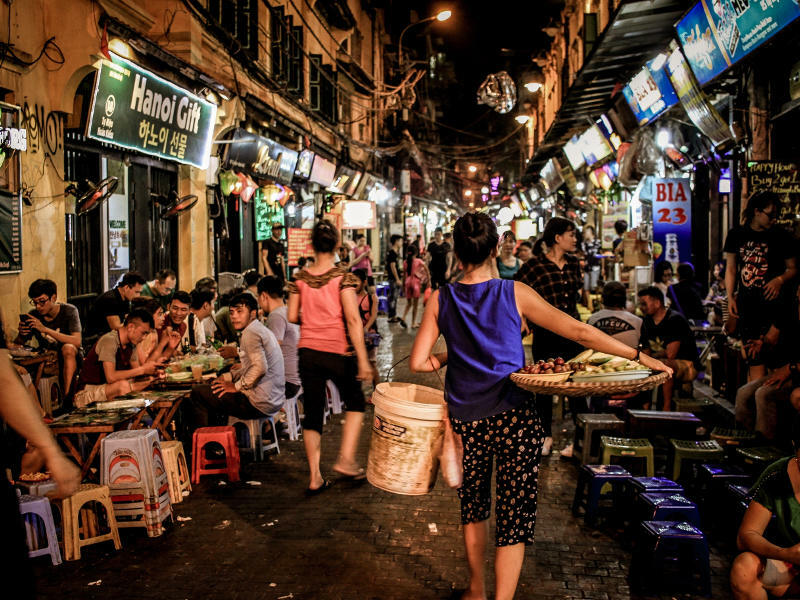 Vietnam is similar to but also vastly different from its neighbours, so if you’re planning on a Southeast Asian trip, you’ll find the “same same, but different” slogan doesn’t always apply. Some of the best things about Vietnam are its landscapes, people and history. Once you get stuck in, you’ll find out how beautiful and resilient this country is. We’ve put together a comprehensive guide on the best time to visit Vietnam based on its weather, attractions, festivals and flight prices. Vietnam’s weather patterns differ greatly between the north and south. Depending on where you’re planning to spend most of your time, make sure you’re prepared for the weather. The best time to visit Vietnam’s northern region is between March and May, and from September to November when you’ll be spared the full brunt of the summer heat and the cold winter downpours. The period between March and May is Vietnam’s spring season and the countryside around Hanoi is in full bloom. If you’re planning a trip up to Sapa, this is the perfect time as the entire valley is tapestried with emerald rice fields and is any photographer’s dream! Ha Long Bay is especially popular during these months, where you can laze on the deck of your junk boat, surrounded by warm water and clear skies. If you’re planning to visit Hanoi between June and August, keep in mind that summer temperatures can reach a searing 33 degrees Celsius. Best to plant yourself near a pool with lots of sunblock for those hot, humid days. Summertime in Vietnam is also peak travel season for the locals during school holidays, so best to book regional flights and accommodation in advance. Summer is also monsoon season, so always carry an umbrella and poncho with you for unexpected showers. The winter months, between November and February, offer cold, wet days where you can spend hours browsing museums, souvenir shops and sipping on traditional cà phê sữa nóng (hot coffee) in cosy corner cafés. 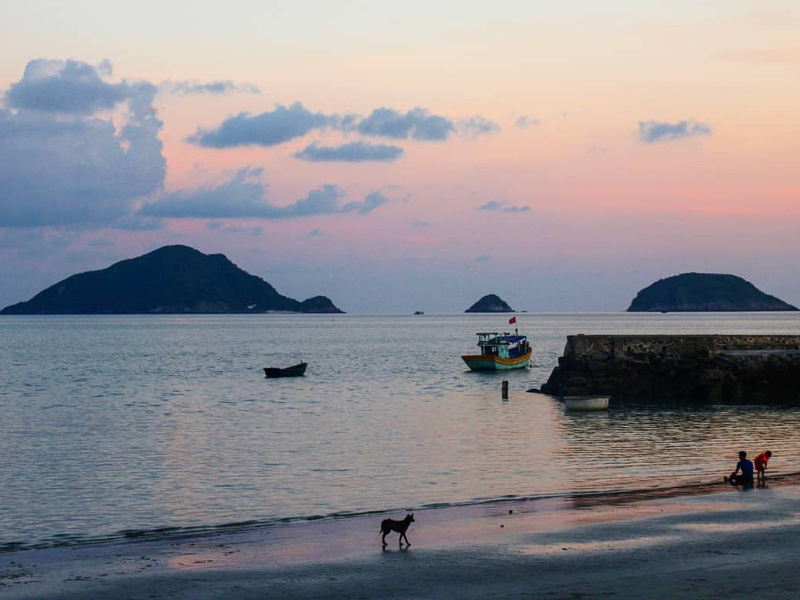 Vietnam’s central region experiences more of a coastal climate. 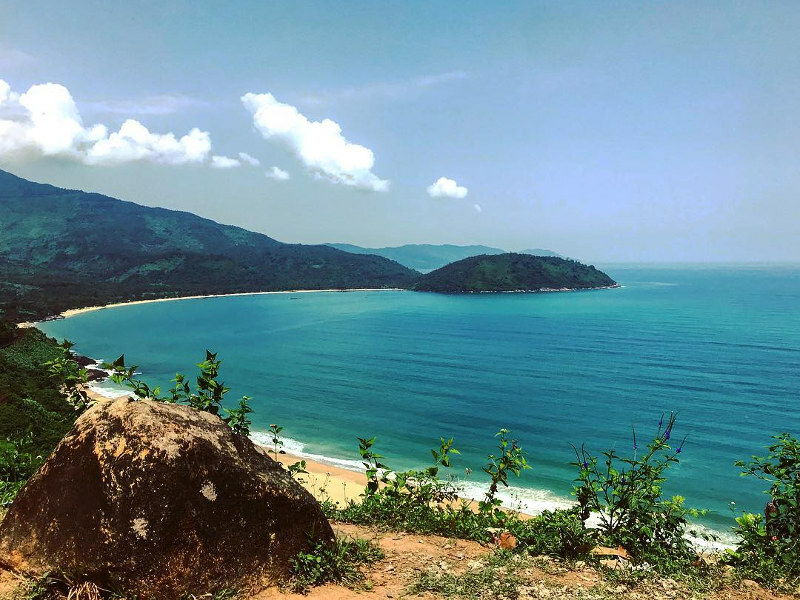 If you plan on biking through the central highlands down to Da Nang, make sure you plan your trip for between January and August. The area experiences heavy rains in October/ November, while May and August are particularly hot months. Hoi An hardly encounters heavy showers, and is especially beautiful between February and July when the old town and beaches are humming with activity. The best time to visit Vietnam’s southern region is between December and April. 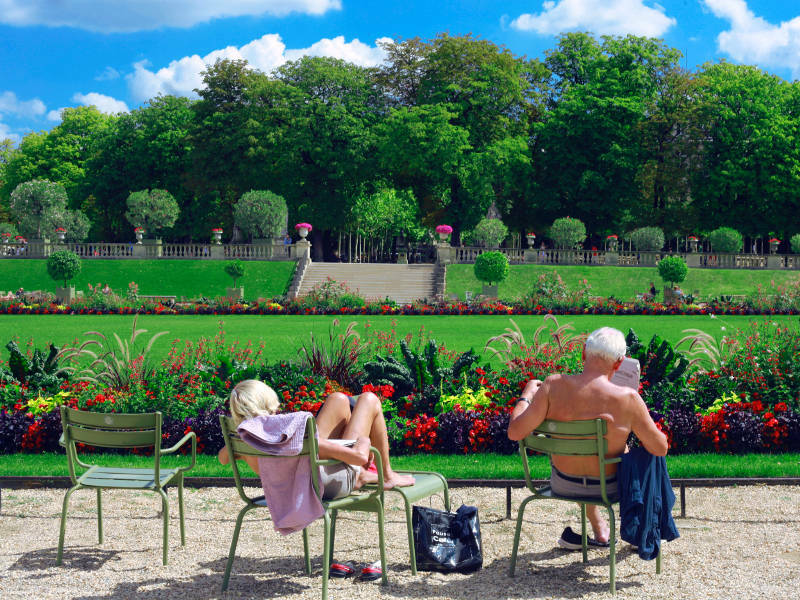 Unlike its northern counterpart, the south experiences consistently warm temperatures throughout the year, peaking at around 34 degrees Celsius between February and May. 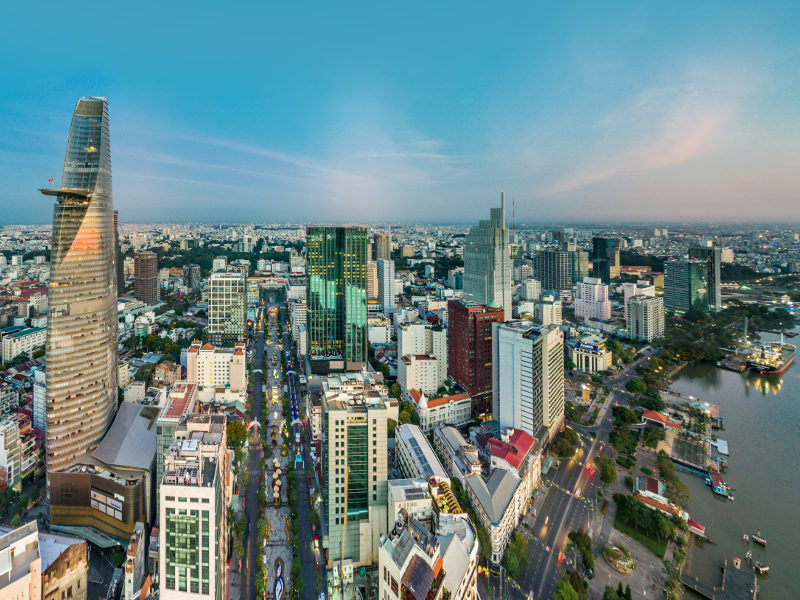 The balmy summer days are ideal for gazing across the skyscrapers from one of the dozens of swanky rooftop bars in Ho Chi Minh City. The dry season runs from January to April; June to November sees the most rain showers occurring in the afternoon. Don’t worry about the rain affecting your travel plans – the lush green countryside is well worth exploring in full bloom. No matter where you’re travelling in Vietnam, make sure to always pack in a small first-aid kit, mosquito spray, wet wipes and a universal adaptor. How much are flights to Vietnam? High season for South Africans travelling to Vietnam is typically in June and July. While this is peak travelling season for South Africans due to school holidays, the Vietnamese school holidays also overlap at this time. 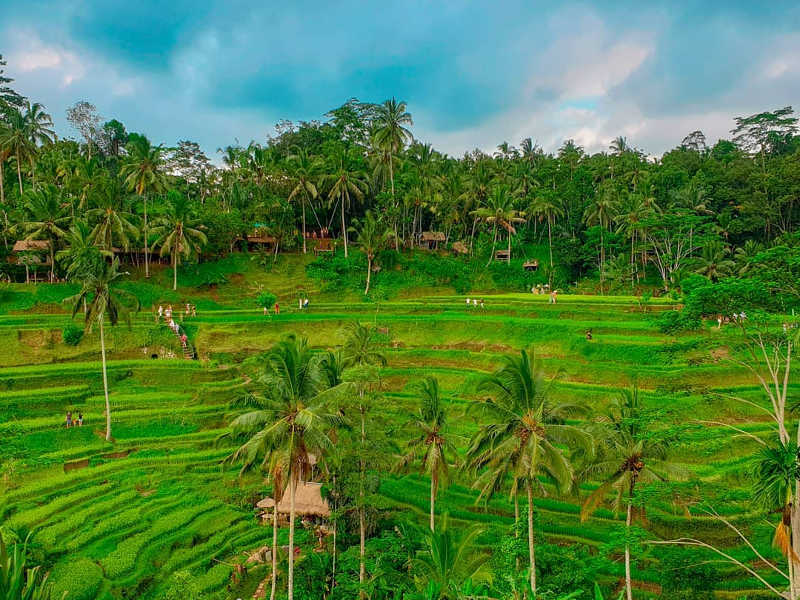 Prepare for busy airports and full flights, especially if you’re planning on exploring more of Southeast Asia while you’re there. If you’re looking to travel on the cheap, this period, as well as during Tet (early February), may not be the best time to visit Vietnam. You’ll find many hotels and flights booked up if you leave it to the last minute. With lots of people on the move, your best bet is to plan ahead to score some good deals on flights and accommodation. Save around 17% on flights by travelling between February and April. This is the perfect time to take advantage of great savings and having Vietnam’s attractions all to yourself before the summer crowds set in. The best time to visit Vietnam is during the low season, between September and October. This is the cheapest time to fly to Vietnam, and you can save up to 25% on airline tickets. Not only can you save big on flights, but you’ll be competing with fewer crowds throughout your holiday too! Make sure you check out our flight specials page for our latest flight deals to Vietnam. If you’re considering the best time to visit Vietnam, think about planning your trip around some of these festivals to experience the vibrancy and culture of the local people. Hanoi is the best city to enjoy this festival, where the locals ring in the New Year over 15 days. Temples are bursting with visitors at this time of year, and the streets are filled with incense, and red and gold decorations. Watch the vibrant fireworks from a rooftop bar or join in the street parties down below. A dazzling performance of fireworks displays from local and international participants, this festival sees the city light up in spectacular colours and creativity. Each year has a different theme, so pull up a chair along the eastern side of the Han River for the best seat in the house. 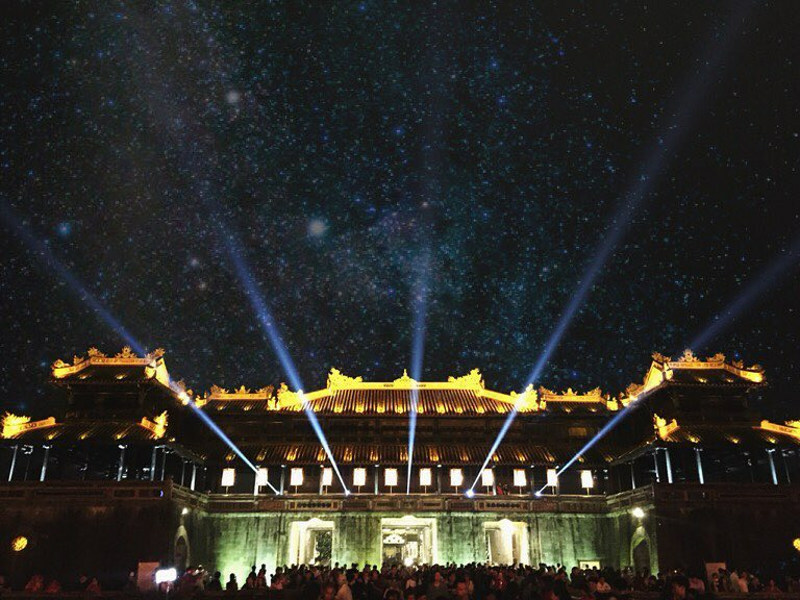 A fanfare of art exhibitions, film screenings, boat races, kite flying, street performances, fashion shows and poetry showcases is what you can enjoy if you find yourself in Hue between April and May. The next Hue Festival takes place in 2018. 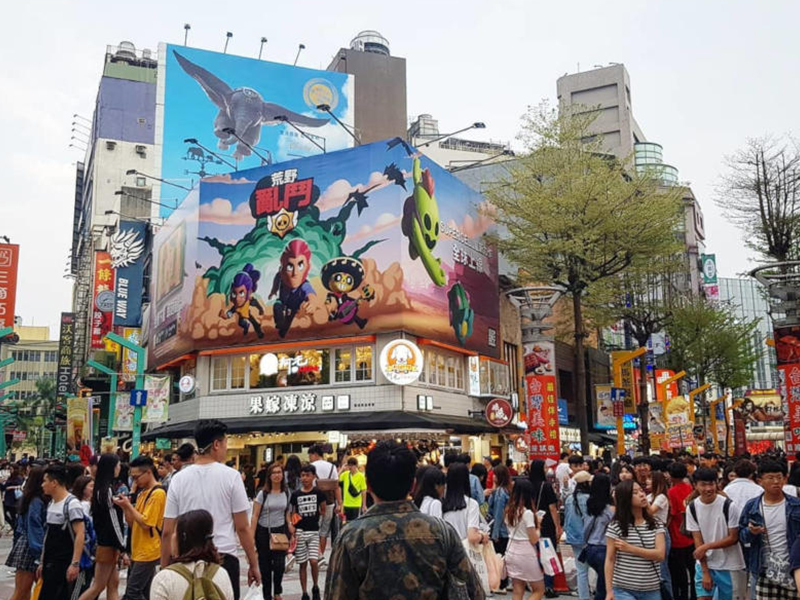 In honour of the full moon, this colourful festival lights up the streets with lion dances, street performances, food markets and paper lanterns. 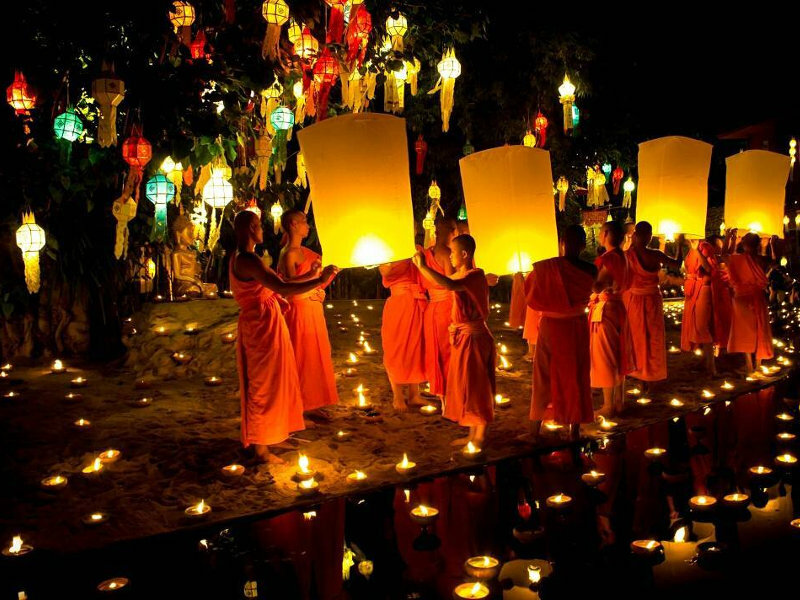 The best place to witness the extravaganza is in the Ancient Town in Hoi An, where art exhibitions and lanterns fill the cobbled streets. 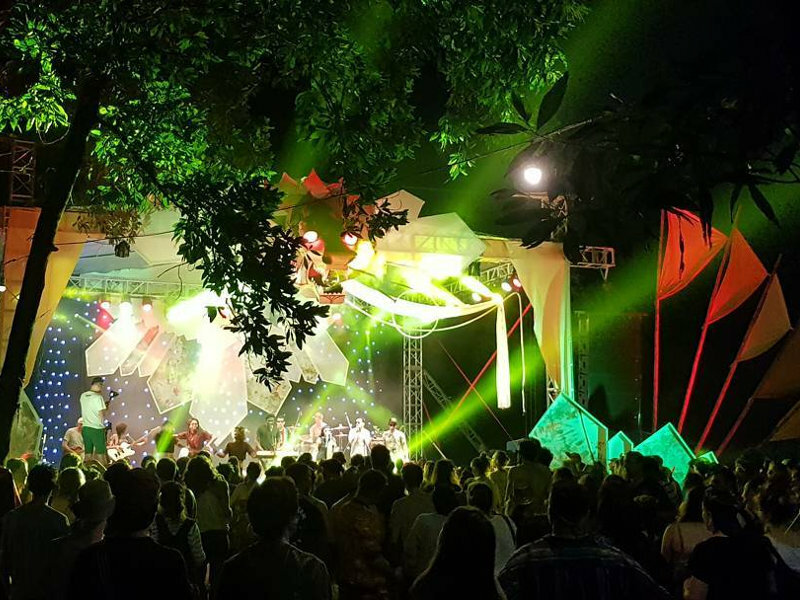 Vietnam’s ultimate music festival, Quest is an outdoor festival spanning three days of music, costume parades, crafts and an all-around good time. With this festival drawing a large expat crowd, you can expect varied genres and styles to keep you dancing all weekend long. If you find yourself in Hoi An during this time, what a treat! The Ancient Town is lit up with hundreds of colourful lanterns and candles, while the streets are filled with traditional music, poetry readings and lantern-making classes. You can’t help but be swept up its picturesque romance. For cheap flights and spectacular sightseeing, the best time to visit Vietnam is between February and April (spring) and September to October (autumn). 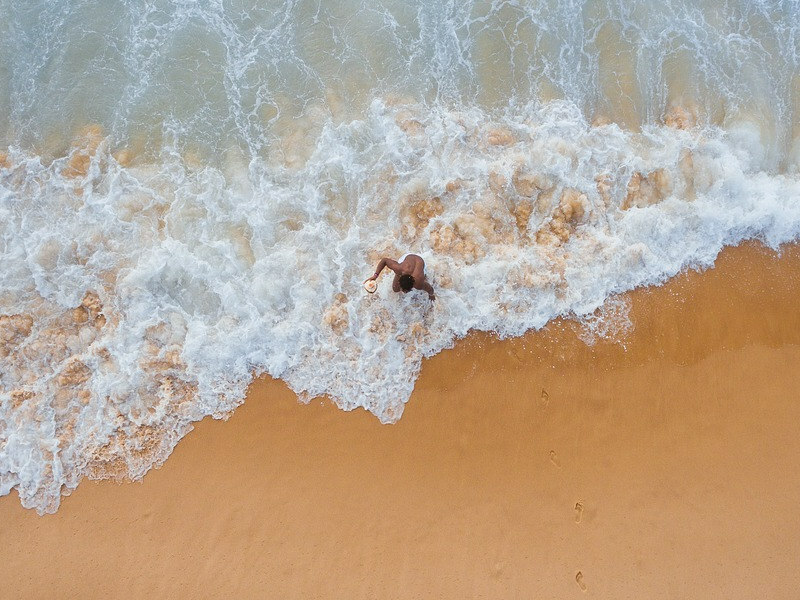 Temperatures average a comfortable 25 °C up north, while the southern regions of Ho Chi Minh and the Mekong Delta are best explored between December and April, with temperatures peaking at around 33 °C. The spring season (March-April) sees the entire country in full bloom and is ideal for trekking, swimming at the beach and biking through the countryside. 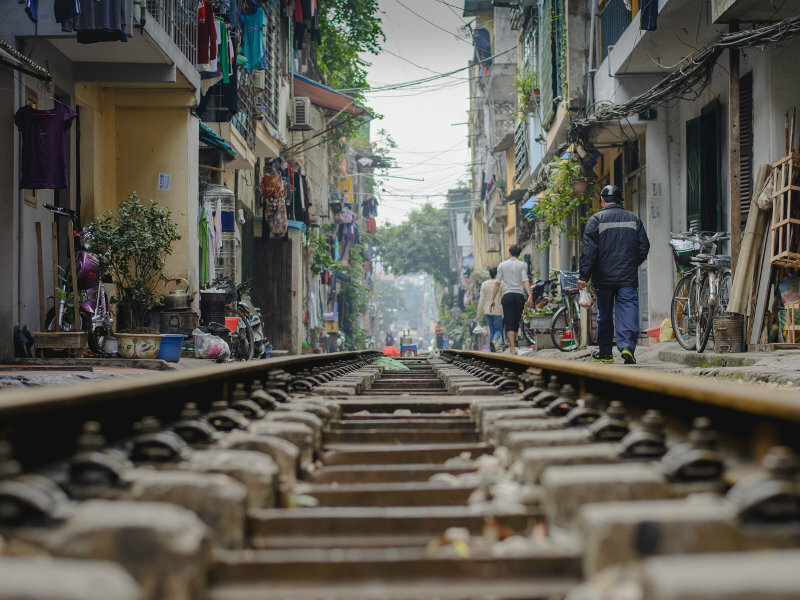 With South Africans able to get a Vietnamese visa on arrival or apply online, there is no excuse why Vietnam should not be next on your travel bucket list! Sign up for our newsletter to stay updated on our latest flight specials to Vietnam. The best time to visit Vietnam is now, so book your tickets and discover a world of untouched splendour! Have you travelled to Vietnam? We’d love to hear about your trip highlights in the comments below.